This is sort of a riff from yesterday’s post about what to teach students who are beyond the normal Advanced Placement CS level or perhaps looking to something advanced in place of the AP course. Most professional development for computer science educators is for teachers who are beginners at teaching CS or who are teaching beginners at learning CS. That’s wonderful as far as it goes but as we move more and more CS down to the younger and younger grades there has to be more. What is that more? Honestly I am not sure. Of course I have some ideas for topics and I have blogged about them. But are they the right ones and do I, or other teachers, know enough to teach them? OK some of them I think I could handle. I’ve been around the block a few times but there are a lot of teachers who are going to be facing students who know as much as they do very soon. Let’s face it some teachers are facing that already. IF they are not now they will be soon. We don’t have a good handle of the “what comes next” because it hasn’t often bee an issue. But it would be a good thing if some of those teachers who teach advanced students already (I’m talking about a large number of people at career/technical schools BTW) would share what they have learned with the rest of us. As I mentioned earlier (After ISTE–More Questions Than Answers ) this topic has come up in the past but we’ve never really addressed it as a community. I think it is time we put some effort into this situation. What are your thoughts? 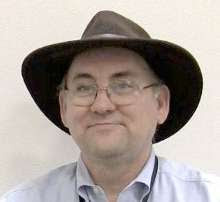 I would like to see PD for advanced topics. I teach an advanced CS class that covers the curriculum from the former AP Computer Science AB class. The students earn dual credit from the local state university. Large projects would be a great topic and how to teach 2 CS classes in single class period. Back before I gave up on working with the NYC DOE (or was frozen out depending on how you look at it) I advocated a long term organic process by which we would develop CS teachers and programs. This would yield teachers with deep content and pedagogical knowledge and would therefore be prepared to teach a variety of CS courses at all levels - not just the specific course (APCSA or a flavor of APCSP) which is what the PD / teacher training / scripted curriculum model does. Unfortunately, in an effort to get everything done in an election cycle the PD model is the direction we're going in. Unless we have serious, well designed pre service training and then complementary in service support I don't think we'll be doing right by our kids. I teach an Advanced Studies course where students can take one of 7 strands in App Development, Computer Security, Database Programming, Network Programming, Operating System Design, Programming Challenges, or User Interface Design. Students can take the course multiple times if they take different strands. Originally, I wanted to make an independent study course, but the district wouldn't allow it. Advanced Studies seems to work pretty well since it covers most topics students would be interested in, and the content is similar to college coursework. I definitely agree PD for upper-level CS is necessary. I have a CS degree so I feel comfortable with this material and was able to develop the curriculum for Advanced Studies, but I know with the growth of CS most CS teachers won't be in my situation. I am just trying to think if there is PD like this for any field. As a math teacher I have never had any PD to improve my ability to teach higher levels. I went and got a masters degree in math ed for that. There are very few CS Ed degrees and definitely no masters in CS Ed. Even if a masters in CS Ed were available would it make sense to get one? There are so few CS teaching positions (I am thinking K-12) that the economics is just not there. There are schools that have full-time CS teachers but they are not common. Until CS is in higher demand in K-12 CS Ed is going to be scarce. K-12 CS is starting to grow. I figure in 10 to 20 years PD might catch up. Garth - Science teachers have a chance to work in labs at Universities over the summer - at least in NYC, Math for America has some high level math PD - they're also kind of doing a CS thing but I heard it was pretty sad. How Many Times Can You Teach Loops? 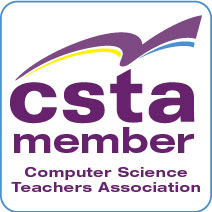 Need Funds to Attend the CSTA Conference?